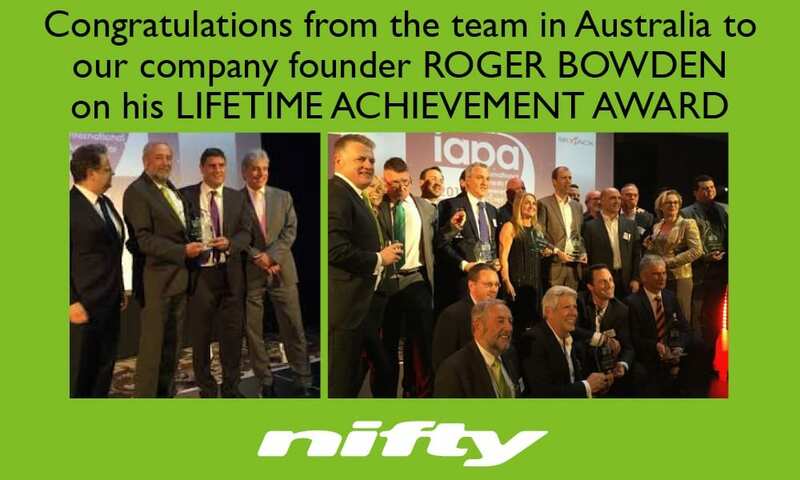 The team at Niftylift Australia would like to congratulate the company founder Roger Bowden on winning the IPAF/IAPA Lifetime Achievement Award. Roger received the award at the awards dinner in Wembley, London. Roger founded Niftylift in 1985 in a garden shed, in Bedfordshire, England and it has since grown to be one of the world’s leading manufacturers of mobile elevated work platforms. Roger’s first product Nifty 120, a simple, lightweight 12 metre trailer mount, was the first machine to be designed and manufactured and is still in production today. In 1994 Niftylift moved to its first purpose built headquarters at Stonebridge, Milton Keynes and soon Roger and the team had developed a worldwide network of dedicated dealers. They opened a subsidiary, Nifty Inc, in the USA; a high-tech, advanced steel fabrication facility in South Yorkshire; and a dedicated research and development centre in Milton Keynes. The official opening of the new state-of-the-art factory at Shenley Wood took place as Niftylift Worldwide celebrated the company’s 30th Anniversary. Roger is always at the forefront of the innovation and ideas at Niftlift, including the patented SiOPS Safety system and Hybrid Drive system. In 2013 Niftylift receive the highest accolade of awards achieving two Queen’s Award For Enterprise in the Innovation and International Trade categories. Congratulations Roger – a well deserved accolade.